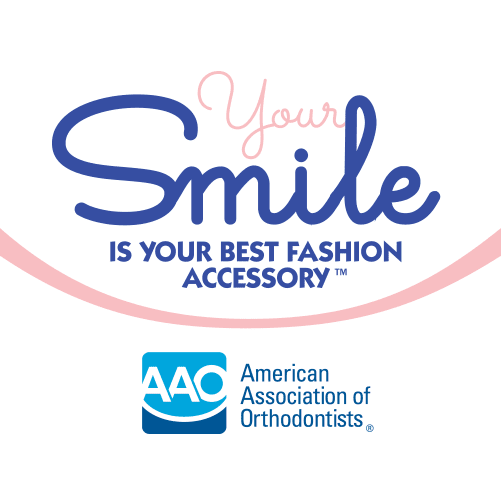 Orthodontics has been correctly described as part art, part science and part mechanics. No other field in my opinion balances these disciplines as well as the specialty of Orthodontics. So it is probably no surprise to most that Orthodontists are somewhat perfectionists. 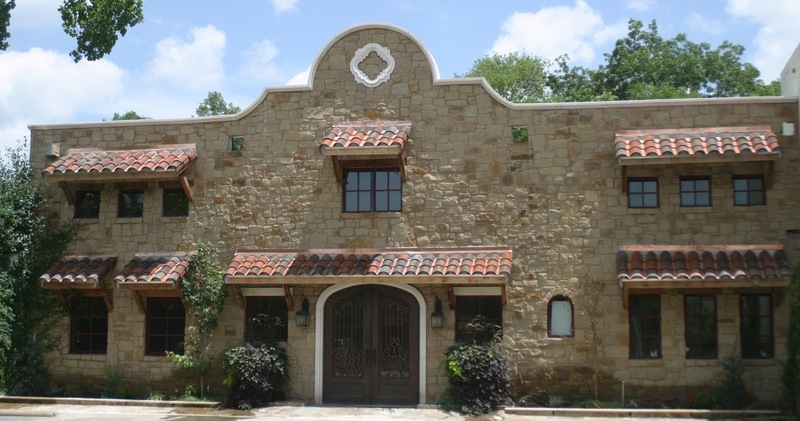 And although we strive to restore ideal function and provide a solid and stable occlusion for each patient, we also want to provide a beautiful smile. Sometimes this may mean leveling the teeth, adjusting the gum level of teeth, closing spaces, correcting rotations, reducing overjets and/or overbites, etc., etc. But one area we also can correct is the incisal edges of teeth. Adult with severe wear from heavy long-term hyper-occlusion. Alignment complete but incisal edges un-supported and fragile as well as unsightly. Following re-shaping to restore strong edges to the teeth to resist future wear now that alignment has restored proper function. Imagine teeth that have been sitting rotated or crooked for years; even a teen may have front teeth for 6 to 8 years until they are corrected. Now imagine how the edges of the upper and lower teeth abrade and wear against each other. Over time, the edges will start to flatten based on the opposing teeth. Then imagine that the teeth are abruptly straightened so that all roots are parallel. In these cases what we see is that the edges of the teeth are no longer level (they were level relative to the original opposing teeth which are now straightened). So the teeth after braces are straight but the edges can be angular/un-level/flattened or even chipped. Initial photo of a young adult with a full underbite and damage to edges. Once the underbite has been corrected, you can see the damage to the edges from the previous poor occlusion. Note that we aren’t trying to shorten all the teeth to the highest point where the fractured edge reaches; we only want to restore any sharp edges with a softer and stronger rounded edge. So why are irregular edges bad? The main concern is that they will be difficult to place into ideal function with the new position of opposing teeth. Also, teeth that are irregular and chipped will tend to chip more due to areas of un-even enamel or sharp edges hitting poorly with opposing teeth. Finally, teeth with rough and uneven edges look older and worn, they will likely cause the bite to appear asymmetric or canted to one side. After braces removed we can see small variations in the edges that will interfere with opposing teeth as the bite is shifted forward; placing edges at risk of fracture and irregular wear. Following re-shaping to level rough and irregular edges for better function with interference in incisal edges when chewing side to side and front to back. Note we are not trying to take all of the personal character from the teeth; they are improved but the changes remain subtle. Can we level the gingival margins with braces? What is normally and regularly done with Orthodontics is that the teeth are aligned and roots made parallel; this is normally confirmed with a progress radiograph. 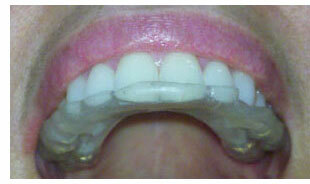 Once aligned, the edges are re-adjusted or polished to match the new axial position of the teeth. Small differences in gingival height can be adjusted by moving the teeth with the braces but the edges may require adjustment following the leveling of the gingiva. This can be a problem in kids where primary teeth remain too long and affect the eruption of one or more teeth on one side; it can also happed as poor occlusion causes asymmetric wear and a tooth keeps erupting as it is worn down (bringing the gum level with it until the gums are un-even). Braces have straightened the teeth and leveled them based on gingival margins of the front teeth; unfortunately, previous position of the teeth led to excessive eruption on one central incisor; pushing this incisor up would have also pushed the gingival margin up creating an appearance of recession. Following re-shaping of the edges. Now the level of the gingiva can be appreciated as the edges are re-matched. Does re-shaping teeth hurt the teeth or make them weaker? Does this “hurt” the teeth? Doesn’t “grinding the teeth down” weaken the teeth? In truth, there is no loss of strength with minor adjustments as Orthodontists are only polishing down un-supported areas of enamel already at risk of fracture. Plus, it is extremely rare to get a cavity on the edge of an incisor once placed into good function. After alignment, edges show irregular developmental ridges and some chipping. After re-shaping to polish edges and provide solid rounded enamel for better strength. After re-shaping with bite closed showing the fit and occlusion with new edges. What is used to re-shape the edges? Orthodontists have all of the restorative tools that general dentists possess so they have many options based on the amount of the re-shaping; everything from soft rubber discs to Emory-board discs to steel burs and even diamond impregnated burs. I use Sof-Lex discs which are rubbery plastic discs impregnated with particles of varying grits similar to fine wet-sand paper; these are normally used to polish white composite fillings. In fact, Orthodontists can make teeth smoother and shinier than they naturally form so you can trust the teeth will look great when completed. Patient after simply adjusting her edges with Sof-Lex discs at her son’s Orthodontic appointment; no Orthodontics was performed. If you are opposed to adjusting the edges, you may not receive the most ideal correction and could experience more wear including fractures in the future. By not re-shaping un-supported/rough edges, you will not be maintaining any strength of the teeth but will instead be compromising the esthetics and possibly the long-term wear and function of the very teeth you are wishing to protect. Trust your Orthodontist; they are specialists not only in function and alignment of teeth but in esthetics and preventing long-term wear while reducing risks of chipping and fracture to teeth. Orthodontics is never just about lining up teeth as many advertisers of tray systems such as Invisalign may suggest; try not to limit your own correction by limiting the abilities and/or tools of your Orthodontist and you will get the best and most stable smile possible. What to do for Jaw Pain (TMD, TMJ)? Who do I see for Jaw Pain? It has become common place for General Dentists to recommend night guards like aspirin for patients who experience any joint sounds, excessive wear on teeth and/or display any symptoms of joint pain. In fact I see some dentists prescribing night guards on just about every patient to protect restorations from general wear and tear. In addition, every week I see new articles published about “treating” TMD (Temporomandibular Dysfunction, “TMJ” or Jaw/Joint pain) with splints/night guards and it makes me question the legitimacy of these publications. Unfortunately, too few dentists are taking time to do more than cover up the problem. There are certainly those General Dentists that are quite qualified and very capable in treatment jaw pain (most local dentists will know who gravitates toward treating jaw disorders as most are content to send these difficult cases to that dentist who sees them regularly. But it seems this trend is slowly changing as General Dentists are reaching more into specialized areas and working to increase their own patient pool. The problem I have seen is that the only treatment ever prescribed seems to be a night guard. And not a custom made and custom adjusted splint but a simple night guard made the same for everyone and rarely if ever adjusted after placement. Kind of a one treatment for all joint pain approach. 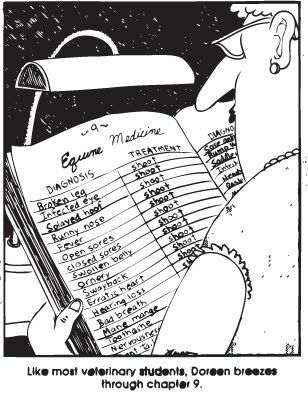 Reminds me of a Far Side cartoon …. So does the Night guard “work”? Night guards and splints used to alleviate pain from TMD and Bruxism are generally made out of acrylic and cover the surface of the upper teeth to provide a controlled, smooth surface for the lower teeth to occlude against. This surface is normally made so that when a patient bites straight down, all back teeth hit the splint at exactly the same time with the same force; front teeth may barely hit the splint or barely be shy of hitting. Likewise, when the jaw is moved to the right, only the right canine hits and slides along the surface (the left side opens as the jaw shifts to the right and vice versa when the jaw moves to the left). A well-made splint or night guard will provide an “ideal” occlusion in straight biting (what dentists call Centric Occlusion) and chewing right, left and forward (what we call cuspid or canine guidance). There should be no interferences (dragging on the side opposite the movement or dragging in the back when posturing forward). If there is no effort to produce this bite chair-side which typically takes several minutes of careful adjusting, then it is likely the night guard will dislodge during function or cause the jaw to shift one way or the other (effectively causing more damage and/or pain). A properly made and fit night guard or splint is very effective in reducing symptoms of TMD including reducing or eliminating pain, allowing the jaw to settle back to the center position and of course protecting the teeth from heavy wear from nighttime grinding (bruxism). The problem with this type of treatment isn’t that it doesn’t help with symptoms, the problem is that it is a band aid and is generally not actually treating anything; it helps when being used because it provides relief for eight hours only to allow the damage the other 16 hours when not being worn. Kind of like resting with a twisted ankle only to walk on it later and it flares up again. What are some basic rules to expect with typical night guards/splints? Although there are certain specific “treatment” splints that I won’t mention because they are for very specific purposes beyond the scope of this article, a night guard or typical splint should always cover the entire upper arch as a partial coverage splint can easily lead to teeth over-erupting where there is no coverage which can (and does) create an openbite, a malocclusion where teeth will not touch when the splint is not in place. A night guard or splint should not be worn more than 12 to15 hours maximum per day or there is a risk of the jaw settling to a more comfortable position which would make the teeth not fit. The exception is if an Orthodontist is planning on correcting the bite with braces but does not know where the “true” jaw position is due to a lifelong shifting of the jaw; wearing the appliance full time (including during meals) allows the jaw to settle in its most symmetric and comfortable position which the Orthodontist (or even the Oral Surgeon) needs to identify before moving the teeth. Remember that most adults bite into a “best fit” position of teeth which was created by the pattern and sequence of eruptions, the shape of teeth or even the fit of restorations later in life; a splint can tell your jaw where to bite instead of allowing the teeth to tell the jaw where to bite. This difference is the shift we see and can lead to joint dislocation, jaw pain (musculature or actual joint/disc pain), frequent headaches and excessive wear of teeth. De-programming this shift is essential to correcting the occlusion and actually treating the TMD in many cases. A night guard should be adjusted with a frequency dependent on how much a patient’s jaw settles and how mush wear the patient experiences on the acrylic. If a splint or night guard is placed but not adjusted, the doctor will not know when the jaw is moving; they will not know when wear facets or divots are creating causing the splint to lead the jaw to bite off center, and they will ultimately not know what is causing the actual jaw problems. When should a patient skip the General Dentist and go directly to an Orthodontist? If you do see a General Dentist first, ask question to make sure they commonly treat TMD or jaw disorders. Ask what types of treatment they offer and if they refer to specialists regularly. If you have wear on your teeth, make sure your dentist can explain why your teeth may be wearing (grinding alone may not be the issue; teeth can take function unless they are in poor positions). If they are trying to treat your jaw pain by moving teeth with clear aligners, seek a second opinion with a Board Certified Specialist in Orthodontics before you spend any more time or money. If they place a night guard or splint, make sure they adjust it to fit the bite (and check it during the adjusting to confirm correct occlusion with marking paper on the acrylic) and that they invite you back to re-evaluate the night guard every few months initially at least. With jaw disorders, you as the patient must take more of an active role in your treatment or you may find yourself with a dozen different splints and night guards, none of which help. And finally, most jaw problems from poor occlusion are identifiable and treatable as children. Don’t wait to be referred by the General Dentist who may not be able to identify the problem early or may not even see your child but once a year after the cleaning to say “hello”. 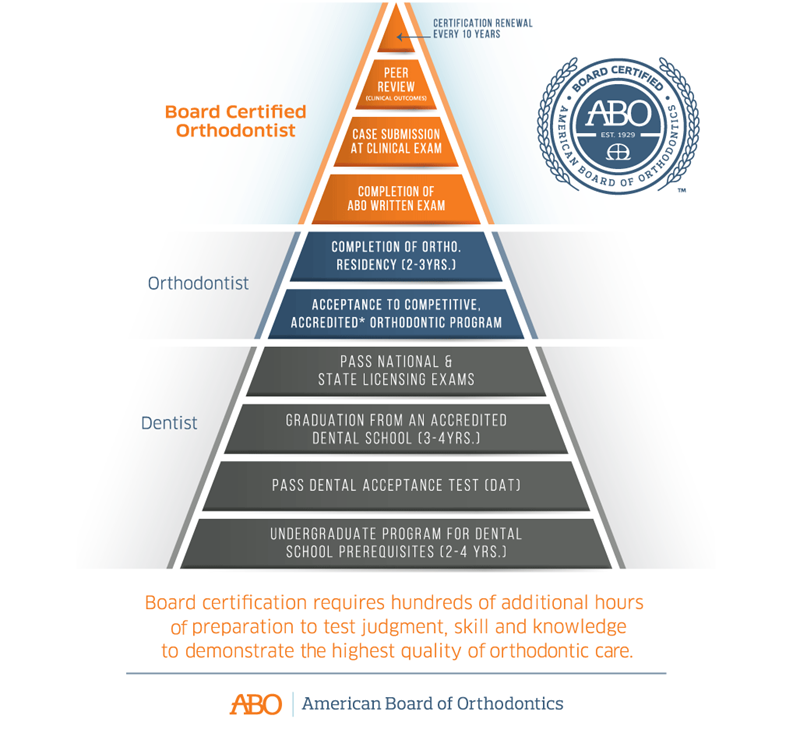 This is precisely why the American Association of Orthodontics and the American Dental Association recommend that EVERY child see an accredited Orthodontist by age 7 without the need for a referral. Consent for minor Orthodontic procedures during active treatment. 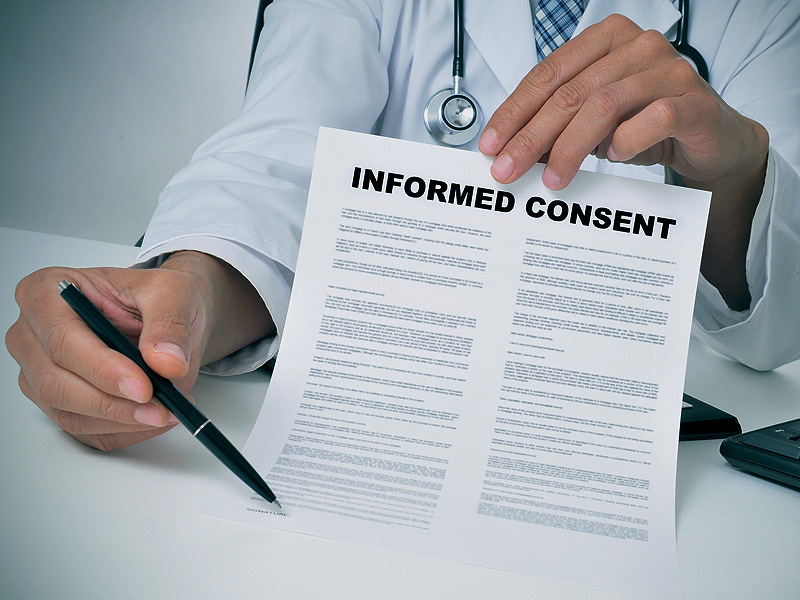 How small a detail is too small for informed consent with Orthodontics? Every now and then I am reminded that patients may not understand everything we do and why things we do may be necessary. This may be something as simple as taking periodic radiographs to checking roots of teeth during treatment to repositioning brackets in an attempt to level gingival margins or even polishing/re-shaping edges of teeth for a better fit and a stronger edge against future wear. I know that I certainly can get into a pattern and just move forward with treatment without always consulting with parents on what I feel are simple or insignificant (but necessary) aspects of treatment with braces and ,to be honest, many times it is not the parents bringing the kids in the first place. 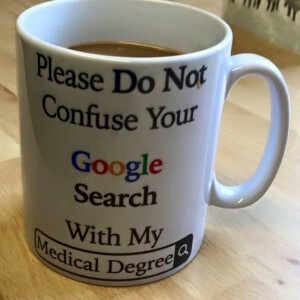 But alas, we as Orthodontists should never underestimate the protective motherly oversight of a parent or the well-surfed google experts that scour the Interweb for tidbits of information regarding braces and Orthodontics. And the longer a patient is in treatment, the more questions arise. When these questions do arise we need to address them completely and promptly. A gift from one of my patients! 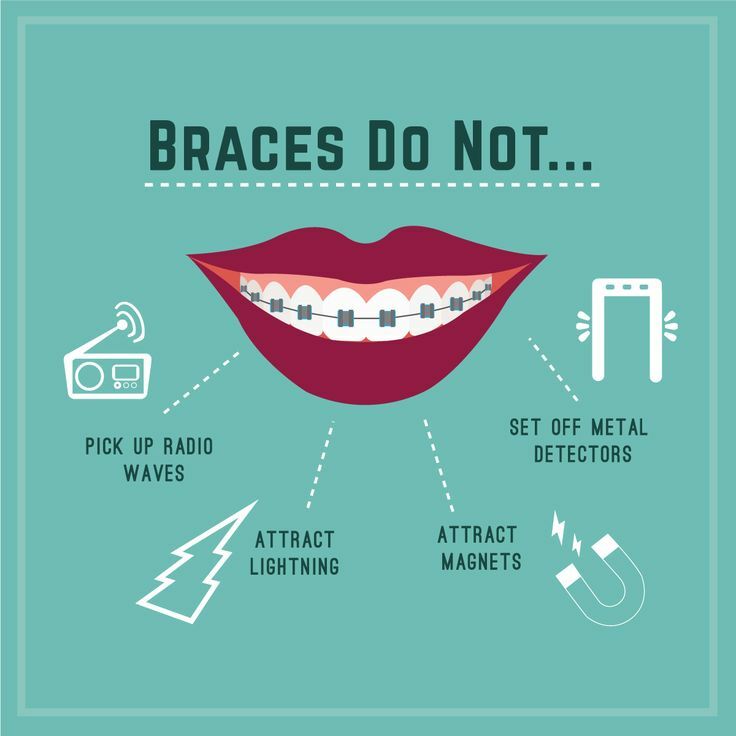 Keep in mind that anyone can find a story on braces causing everything from rampant decay to periodontal disease even to circulatory problems, allergies or even autism. It always amazes me how much dis-information Orthodontists are up against with every new year. Even our dental colleagues may have incorrect positions on braces or biases against traditional braces simply because they now offer aligner trays and think they are equivalent (which is nonsense of course). So Orthodontists must always try to explain treatment while dismissing the many urban myths about braces before and throughout treatment. So when is consent needed during treatment? Orthodontists want you to be informed and aware of important procedures and risks v. benefits of our treatments; we have state and national meetings about consent, entire journal articles are focused on educating Orthodontists as to the legalities of treating with parental permission and choosing parental wishes even over better care in some cases. Orthodontists want everyone to be on board with treatments and we want treatment to go smooth without complications or mistrust. But we also have been highly trained and we may gloss over more insignificant points may be just too small a detail to keep repeating for everyone at every visit. After all, we cannot take 30 minutes to discuss every bend or every spring at every visit or we would never be able to finish. Expect your Orthodontist to explain why teeth may be removed to gain space, why certain specialized appliances may be used such a palatal expander or headgear, why braces may be preferred or even required over other methods and when/why progress records will be taken during and at the end of treatment. Expect to hear about risks of tooth movement in general and specifically related to you or your child, expect to hear of any possible options including of no treatment is performed. Expect to get consent for significant reshaping between teeth though simple polishing should be expected if it will affect the occlusion of teeth or is needed to level the teeth and gingival margins. Expect to hear when there may be changes in your treatment plan, when compliance is poor (including oral hygiene) or when important goals are net throughout treatment. I personally start all treatment with a series of three appointments: first as a complementary initial exam to see if treatment may be warranted, second a full records appointment with a nominal fee to show commitment to any treatment and third with a complementary but mandatory sit-down consult to discuss records and any treatment plan including risks, procedures and prognosis of treatment. Everyone goes through this so there are fewer questions during treatment and so that patients and parents have a chance to ask questions and discuss options. I give a written treatment plan and copies of records to every patient and let them take home the information before starting any treatment. I know many offices have moved to a single initial visit/consult/start on the same day but I always have felt it is better to sit down and put everything in front of the patient so if there is an issue that arises, the patient and/or parent knows we were expecting something or at least had performed due diligence. This also educates the patient on what is expected from them. Once you have understood the treatment plan and reviewed records and consented to treatment, allow the Orthodontist to place the braces and wires as he/she sees fit. Expect there will be appointments where the wires will simply be tied tighter, changed to larger or stronger wires and expect to hear things like power chains/counter force wires/NiTi (titanium wires)/elastics prescribed and placed. 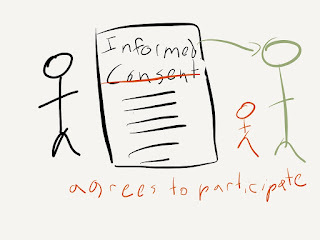 These are basic to most cases and should not require separate consent. Also, expect a radiograph to be taken at 6 to 12 months into treatment to view root positions and help guide the Orthodontist to a smooth and timely finish. If there is breakage expect the Orthodontist to remove old brackets and polish teeth in preparation for a new bracket. 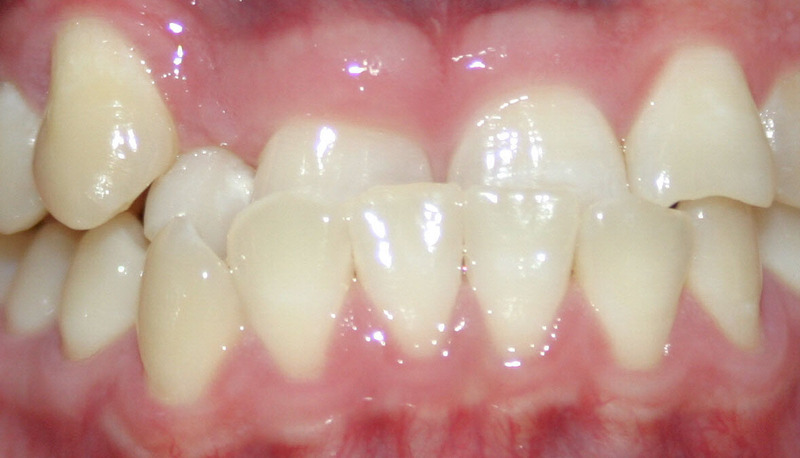 If there are rough edges on teeth that affect the occlusion, expect the Orthodontist may want to smooth those to prevent breakage during and after Orthodontics; he/she may also need to adjust edges of teeth where previous wear pattern have created irregular or asymmetric wear on teeth that affects the gingival levels or may cause future unfavorable wear to opposing teeth; remember (contrary to current aligner companies such as Invisalign suggesting otherwise) the Orthodontist is primarily responsible in providing ideal function above all. With proper consent before treatment including time to answer questions and discuss options, patients and parents will be more trustful when we have taken a routine x-ray to check roots half-way through treatment or that we have to polish/re-shape a tooth for a good fit or to remove cement even though it may be in the written consent at the beginning of treatment. We never want parents and/or patients that are distrustful as this leads to a desire to wants written instructions on everything we do and hovering parent that questions us at every step. This kind of distrust can easily lead a discontinuation of treatment and a transfer out of a practice under these conditions. Braces have maintained a relatively consistent price over the last 20 years (my fees have grown from @4500 to $6500 while crowns have risen from $350 to $1200!) because of technologic advances in materials and more efficient treatment protocols but if every patient was to question and resist every aspect of treatment on every patient, we would likely have to double our fees. Both parents and patients must be taught that Orthodontics is not just a series of plastic aligner trays as they may see advertised. 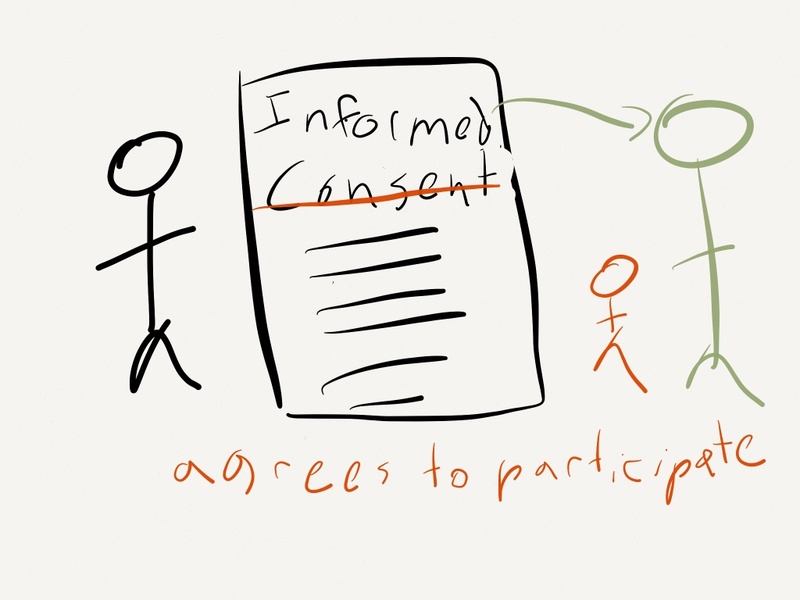 And patients and Orthodontists have to get on the same level of expectations with consent, with compliance and ultimately with outcome of treatment. Orthodontics is a dental specialty; it marries developmental biology, physiology, growth, and experience with physics, biomaterials and art. It is terribly complex and requires thought, preparation and modifications throughout treatment and it cannot be completely explained at every step. 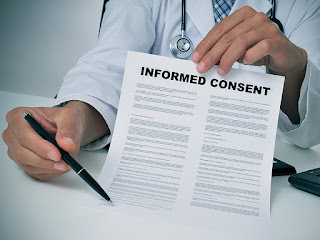 There may certainly be a gray area of consent v. efficiency and it is up to the doctor and the patient/parent to define that line but I would ask parents of young patients to find the professional you trust at the beginning, do your research and get comfortable with your doctor …. 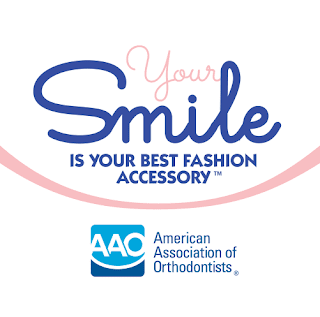 then trust your Orthodontist to do give you and/or your child the best care possible. 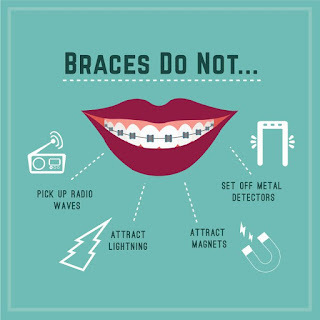 No Orthodontist wants to harm anyone or damage anyone’s teeth/joints and all of us have very extensive training; trust that your Orthodontist knows what he/she is doing and why they may recommend certain procedures for a better smile and bite and you will have a better experience and likely a better result. I would ask parents of young patients to find the professional you trust at the beginning, do your research and get comfortable with your doctor …. then trust your Orthodontist to do what is good for the patient and teeth.